On January 22, Zakat Foundation Community Center-Chicago (ZFCCC) Director, Laila Muhammad, became the first African American Muslim woman to participate in the Presidential Inauguration National Prayer Service at the Washington Cathedral in Washington DC. Laila was invited to participate in the National Prayer Service by President Barack Obama. At the multi-faith service, readings, prayers, songs and the sermon focused on the challenges of leadership and the importance of responding with strong faith. Over 2,200 people filled the cathedral church of the Episcopal Diocese of Washington, where religious services of national importance are traditionally held. The two-hour service included readings and prayers offered by a wide spectrum of religious leaders including Rev. Adam Hamilton, Washington Cardinal Donald W. Wuerl, Cantor Mikhail Manevich of the Washington Hebrew Congregation, and Imam Abdullah M Khouj, president of the Islamic Center of Washington. Other groups including the African American Clergy Network, the Rabbinical Assembly, the National Association of Evangelicals, and the Islamic Society of North America read religious passages. 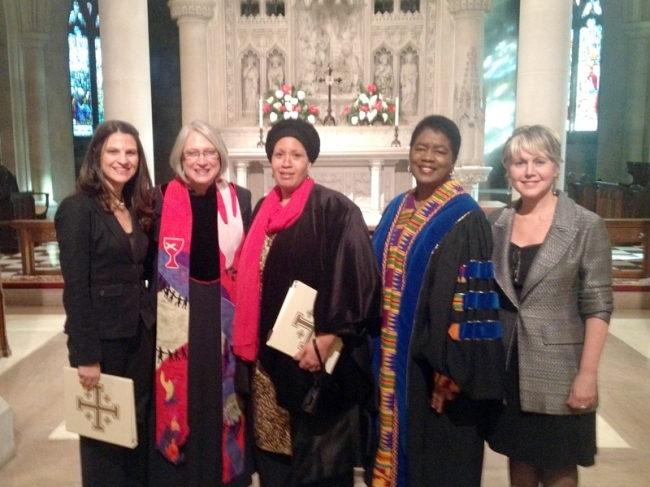 Laila was honored with the opportunity to make a prayer at the Presidential Inauguration National Prayer Service. Like the children that participate in ZFCCC programs, Laila Muhammad was raised on the Southside of Chicago and attended school in the South Shore neighborhood. As a young girl from the inner city of Chicago, positive examples and access to good educational programs allowed Laila to grow up to be the leader that she is today. As Director at the ZFCCC, Laila says she is grateful to have had this experience to show the children at the ZFCCC that with commitment and hard work they can become strong individuals that make positive contributions to society.